The Costumed Dog Mouseis especially attracted to Dumpling Cheese or Nian Gao'da Cheese to the point that any other kind of cheese will simply not suffice. No Charms are required to attract the Costumed Dog Mouse. Hunters can encounter the Costumed Dog Mouse in all Stockpile Locations. 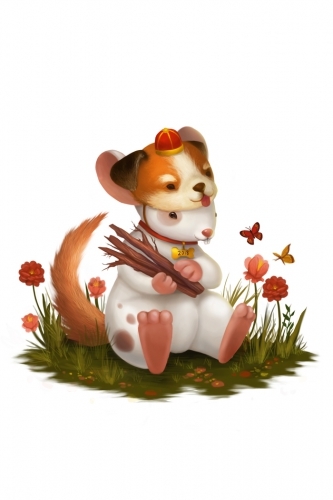 6 February 2018: The Costumed Dog Mouse was introduced with the release of the Lunar New Year 2018 event. This page was last edited on 8 February 2018, at 10:03.